A new report by the Royal College of Physicians has underlined the significant financial savings that can be achieved by the NHS by effectively evaluating its waste procedures and re-using equipment such as mobility aids. The Less waste, more health: A health professionals guide identifies how NHS trusts can make sizable savings by reviewing how hospitals encourage and handle returned equipment. Highlighting a series of case studies, the report draws attention to a campaign launched by NHS West Suffolk to encourage local people to send back equipment they no longer require, with the Trust achieving a saving of £608,500 in the month. 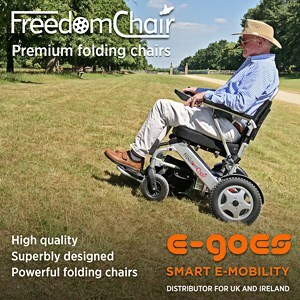 With over 8,500 items returned, including crutches worth £12.70 per pair, commodes, adjustable wheeled frames and air mattresses worth £1,650 per mattress, the report estimates that if all clinical commissioning groups achieved similar results, a potential £128 million worth of equipment could be recouped from the mobility aids. Listed in the NHS Sustainable Development Unit’s (SDU) top 20 priority items, crutches, walking sticks and frames are predicted to account for more than 70 percent of the footprint of procured items, in terms of expenditures and carbon footprint, according to the Charted Society of Physiotherapy. Additionally, the report recommends NHS trusts look to promote and invest in easier means to allow the public to return medical equipment, as well as investigating environmentally-friendly equipment alternatives that are able to achieve the same patient outcomes without compromising care.